Endorsements Guide - a list of all endorsements (over 80 endorsements) and coverages that you need to memorize to pass this exam. 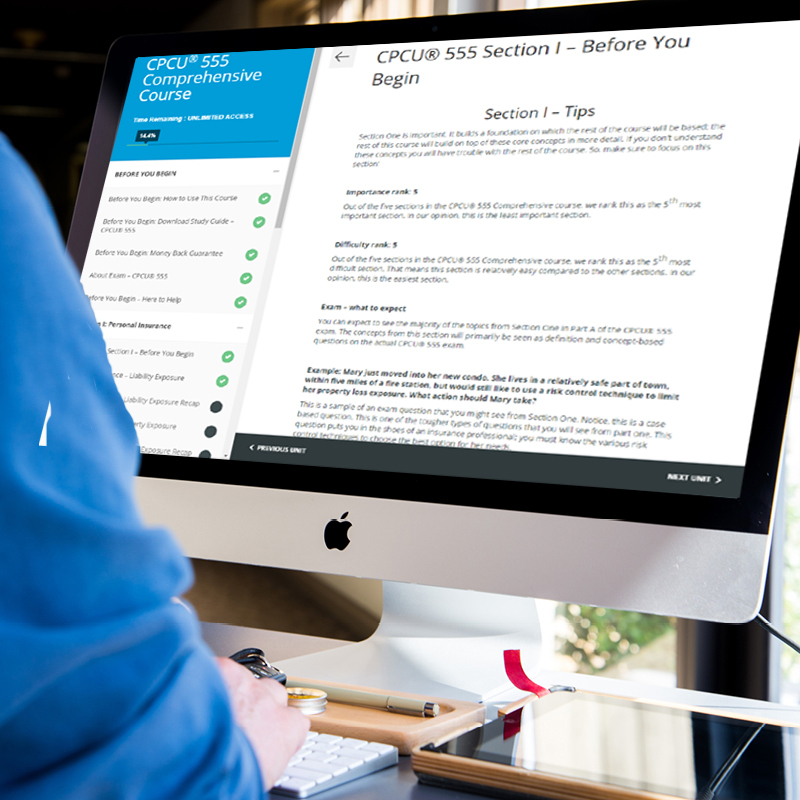 For more info about what to expect on the exam, see our blog about the CPCU® 555 Exam Overview. For more insight, see our blog about the CPCU® 555 Difficulty. For more info about the most important topics see our blog about the CPCU® 555 Exam Topics. 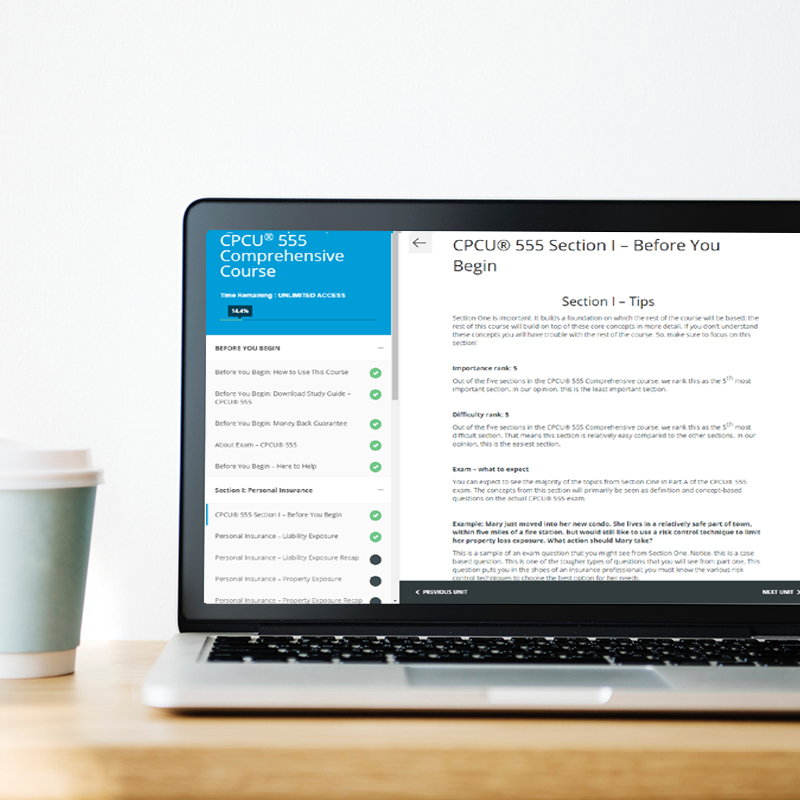 For more information about the type of questions you will see on the exam see our blog about the CPCU® 555 Exam Questions. We also hate wasting money and stressing about failing...which is why we offer our full money back guarantee if you don't pass your exam using our course. So stop stressing about failing, it happens to everyone! 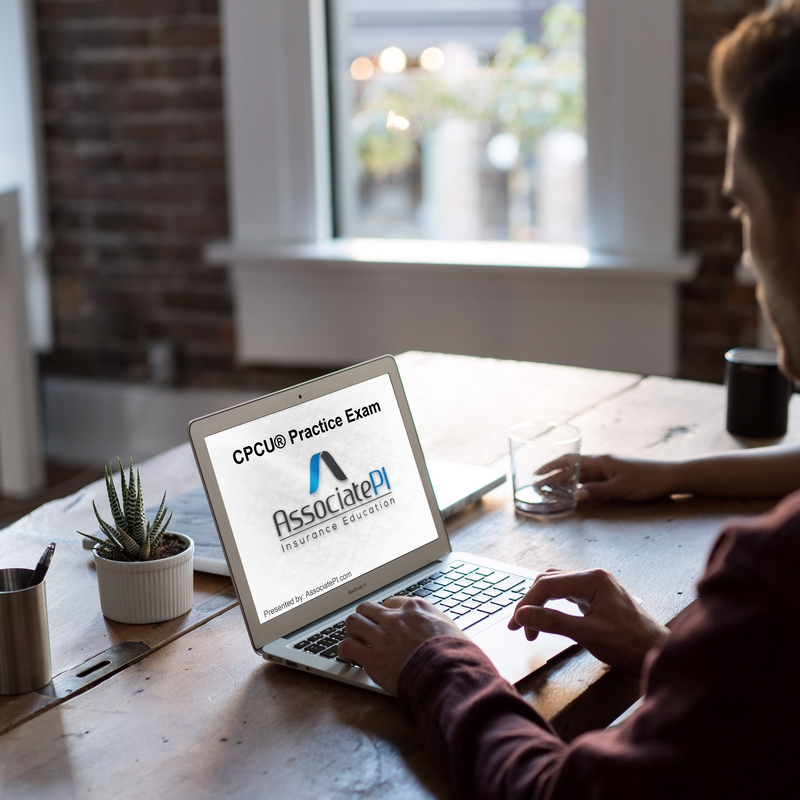 Chapter one is arguably the most important chapter of each CPCU® exam. This course is intended to help you master chapter one of the exam and provide users with insight into our online course user interface.